This book covers the study of electromagnetic wave theory and describes how electromagnetic technologies affect our daily lives. 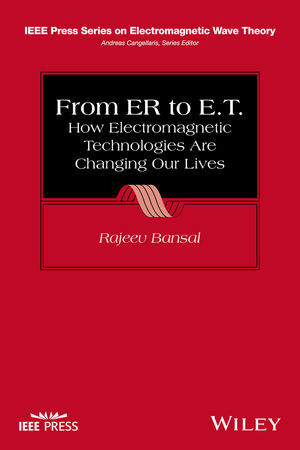 Rajeev Bansal, PhD, is a professor of Electrical and Computer Engineering at the University of Connecticut. He is a member of IEEE and the Connecticut Academy of Science and Engineering. He is a Fellow of the Electromagnetics Academy. His editing credits include Fundamentals of Engineering Electromagnetics and Engineering Electromagnetics: Applications. Dr. Bansal contributes regular columns to IEEE Antennas and Propagation Magazine and IEEE Microwave Magazine.